Place Vendome Beauty Salon – Summit, NJ. Their motto resonates with us because their staff is as beautiful on the inside as they are the outside! The Place Vendome ladies dedicate an entire day in October to The Tutu Project, and a percent of all sales are donated to our organization. 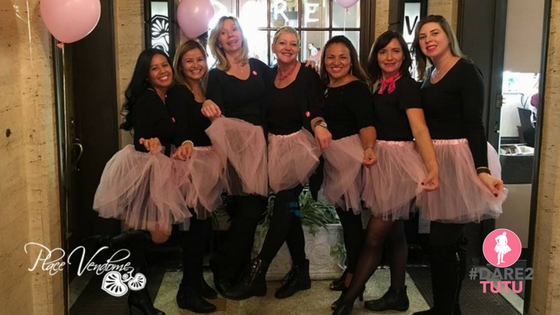 The ladies “Dare2Tutu” all day and even provide their clients with champagne to honor the men and women battling breast cancer.